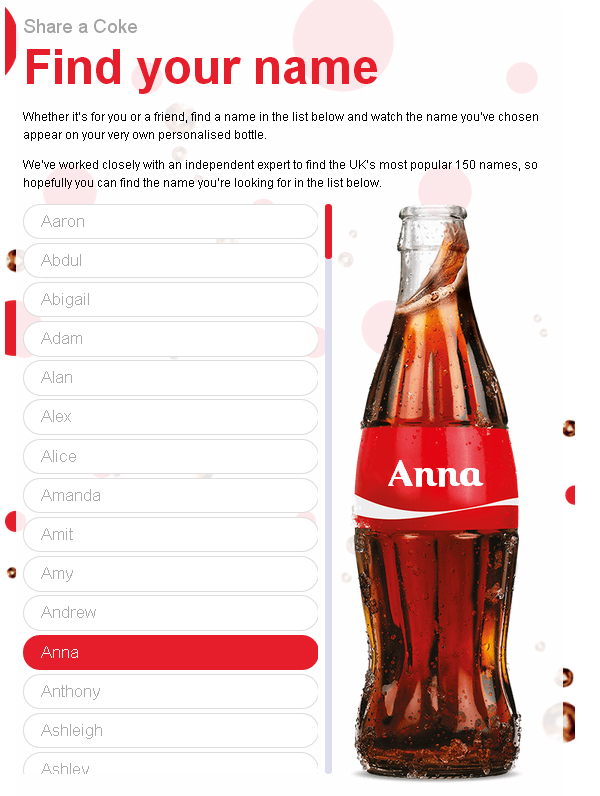 Building on the success of the Share a Coke campaign in Australia, Coca-Cola rolls out the name-based promotion in the UK and Ireland. 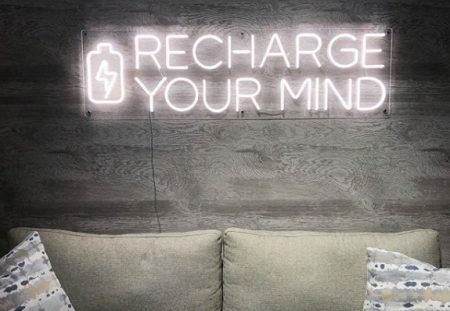 The brand is inviting consumers to share some joy with their family and friends this summer by buying them Coca-Cola, Diet Coke and Coke Zero bottles, with their names on the label. 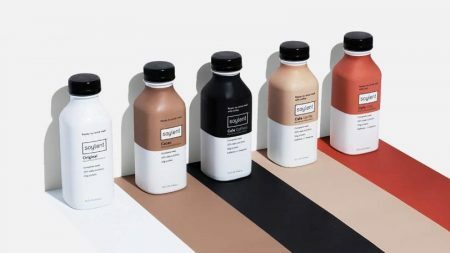 Consumers across the two countries now can purchase bottles featuring one of 150 most popular names in the countries, ranging from Aaron to Zoe. One can play with the new format in different ways—buy such bottles as a personalized gift, or use it as an invitation to share the soda beverage (if the recipient’s bottle features the name of the giver). The personalized packaging includes 375-500 ml PET bottles in the UK as well as 500 PET bottles and an accompanying collection of ‘You’ and ‘Me’ 330ml cans in Ireland. Those who won’t find the names of their dear ones on the bottles, can create their own digital can online on www.shareacoke.ie and www.shareacoke.co.uk to share it with family and friends. The campaign supporting the new promotion launched in early May with a TVC, digital promotion and a water projection show at Dublin’s Grand Canal dock on May 10-11. Consumers were invited to contribute to the water installation by sending tweets with the hash tag #ShareACoke—their messages appeared on the giant water screen. “We are delighted to be launching the Share a Coke campaign, which sees the iconic Coca-Cola script transformed and personalised for our consumers for the first time in our history. We understand the value of offering consumers an authentic and personal brand experience, which is why we are inviting the public to have fun finding the names on our products and taking the time to Share a Coke with their friends and loved ones, both in-store and online,” commented Jon Woods, Managing Director, Great Britain and Ireland. Posted in Advertising and tagged Coca-Cola, Ireland, package design, soft, UK. Bookmark the permalink.